Under Armour reported 4Q revenues that fell 1.8% year over year as well as a 12.0% drop in inventories. The main culprit for lower sales was North America. 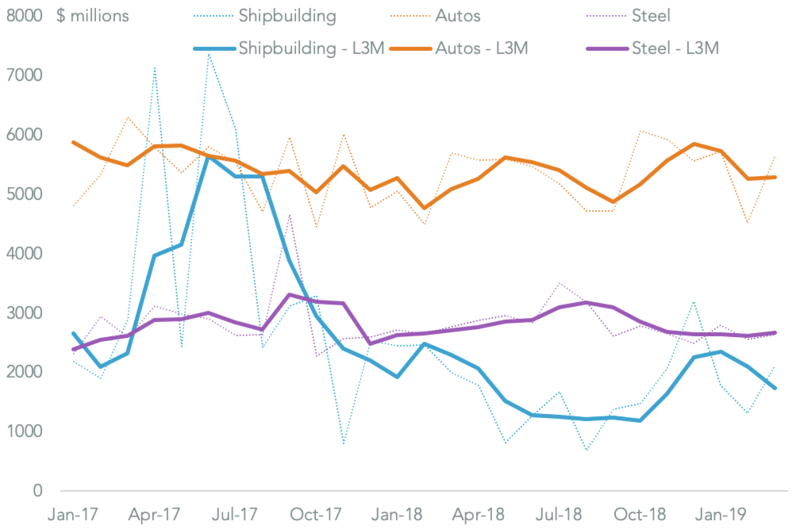 The decline shouldn’t be a surprise given the firm’s U.S. seaborne imports fell 19.6% year over year in 4Q. Among the firm’s main product lines clothing did slightly better with a drop of 10.7% while shoes fell 17.0% – accessories made up the balance. Looking ahead the situation may not be much brighter given imports fell 38.6% year over year in January.